Off grid wastewater isn’t a subject you’ll find glamorized along with beautiful cabin photos, but it is a crucial part of planning your off grid home. What kinds of systems are available? What troubles can you encounter? As green builders, we spent a lot of time looking at alternative methods of waste disposal including greywater systems and composting toilets. Unless you are truly out of the bounds of any type of code enforcement and/or don’t care about being a good steward and neighbor, you will likely encounter issues with your waste water management plans. It isn’t pretty, but it’s important. Here’s what you need to know. 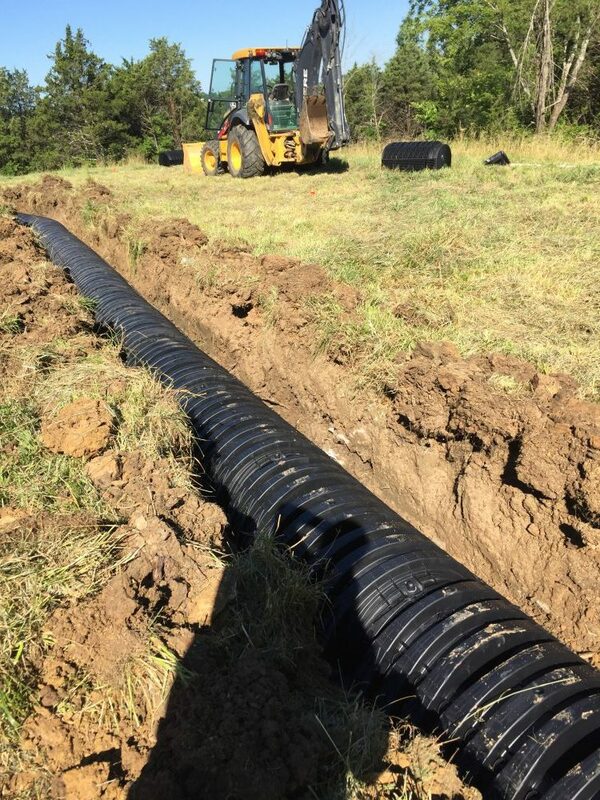 We installed a septic system for our off-grid wastewater management and will go into full detail of our install in this post. What are “greywater” and “blackwater”? Greywater – used water from washing machines, sinks, tubs, showers, etc. Note: There is a completely valid argument to be made about tub and shower water not being true greywater since it is likely to contain skin cells, microbes, and occasionally human waste (y’all with kids can’t tell me you never had a toddler poop in the tub). One of the most common ways of dealing with blackwater is to use a composting toilet. These can take various forms from a bucket with sawdust to an elaborately designed toilet that costs hundreds or even thousands of dollars. They take a bit of getting used to, but composting toilets are great when you think about all of the water you’re conserving since you aren’t flushing it. You will still need to pair this with a way to handle water from showers and sinks, which leads to the next option. *Note: You CAN use this method with a septic system. Doing so diverts waste from the tank, extending the life of the system and conserving water usage. Read up on greywater system designs with these books here and here. Lagoons are similar to septic systems and are commonly used in areas where the soil is ineffective as a filter. Wastewater drains to an earthen basin that holds and processes the waste through microbial activity. Lagoons are typically more cost effective than full septic systems, but pose their own challenges (namely, being an open pit of sewage) and may not be approved in your area. You can read more here. This is probably the most common and easily approved method for wastewater disposal. Wastewater from the home drains into a septic tank, solids settle to the bottom and are broken down while water percolates out through perforated pipes in a leach field in the yard. This is one of the most common ways of handling wastewater in our area. In fact, both of us grew up in homes that had septic systems. Here’s a point for all of my fellow aspiring green builders out there that may come as a disappointment to you: YOU MAY BE REQUIRED TO INSTALL A SEPTIC SYSTEM. Even with your greenest of intentions, if you live in an area where you must get a building permit for your home (like we did), one prerequisite of the building permit may be the septic permit if you are not hooking up to a municipal sewer. In our county, waste water of any type is under the jurisdiction of the health department. At the outset of our building project we asked the health department if it was possible to do an alternative system like greywater. Their answer: a greywater system would have been required to be designed EXACTLY THE SAME AS A SEPTIC SYSTEM. 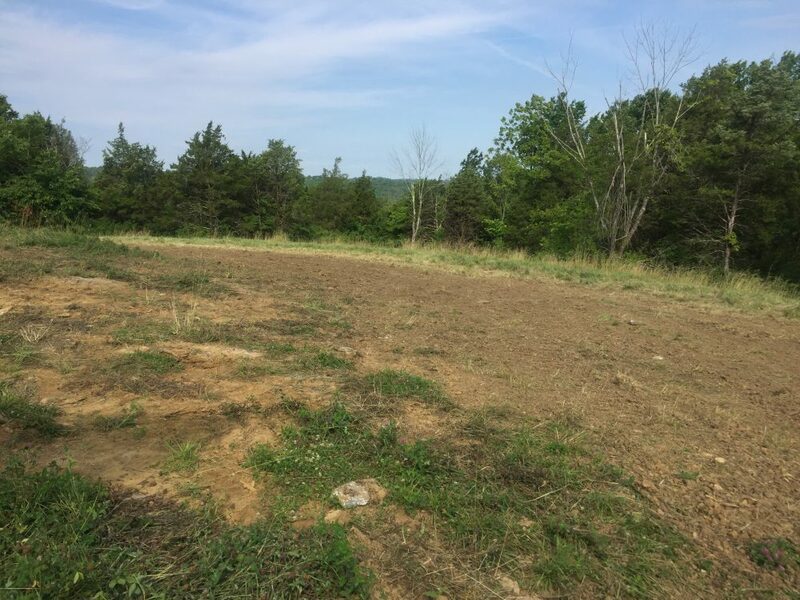 Additionally, we could not have obtained a building permit without having a septic permit and plans to install. So we sprung for a full septic system. Related: How should I talk to my local code officials if I want to build “green”? 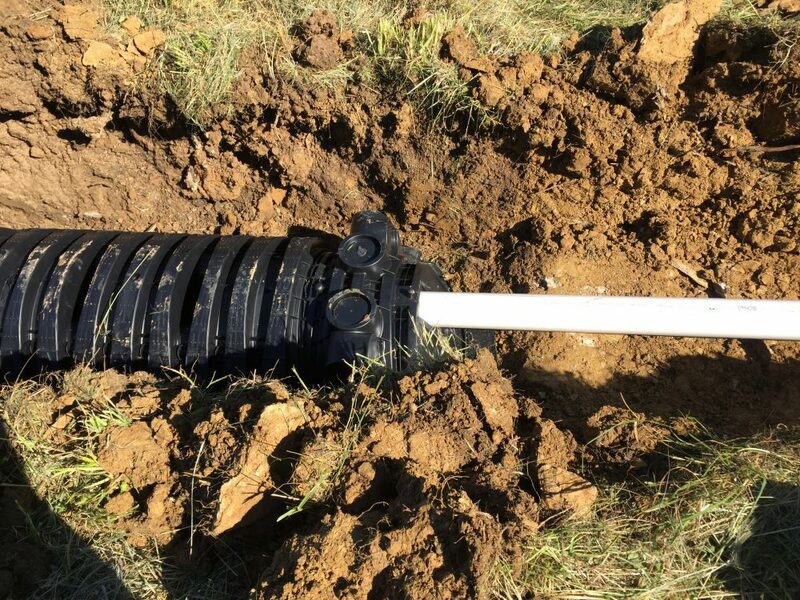 Should I install a septic system myself or hire a professional? There are many aspects of our off-grid home building project that we’ve done ourselves, from constructing the frame to running the plumbing to building the cordwood masonry. There are several other jobs that I would love to say we did by ourselves, but we understand our limitations. Certain jobs are done better, cheaper, and safer by professionals. For us, the septic system was one of those jobs. Access to and skilled operational knowledge of large equipment like backhoes and bulldozers. Working knowledge of code requirements of septic systems in your area. Likely a professional relationship with the code officials in your jurisdiction. Additionally, the cost to hire a professional may ultimately end up being cheaper than trying to rent equipment and get the materials yourself. The leach lines of any septic system need to be placed in soil that can adequately filter the liquids passing through. Our land has mostly rocky clay soil, which is a very poor filter. 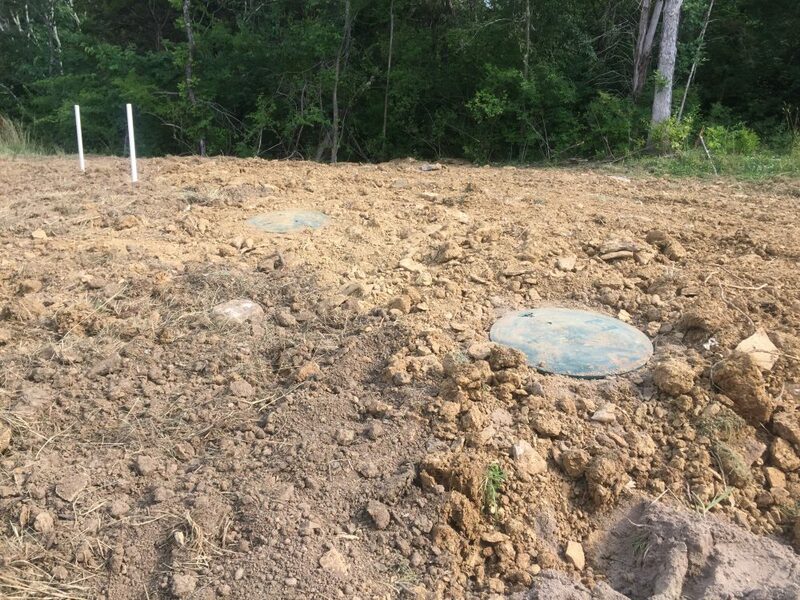 Therefore, we were required to do what is known as a “fill and wait” septic system. This means that we had our topsoil scraped and moved to the area where the leach lines would later be placed. If we had inadequate amounts of topsoil on our land we would have needed to haul it in. This photo is from the summer of 2015 during our initial excavation. The topsoil from our building site was relocated to create the leach field. 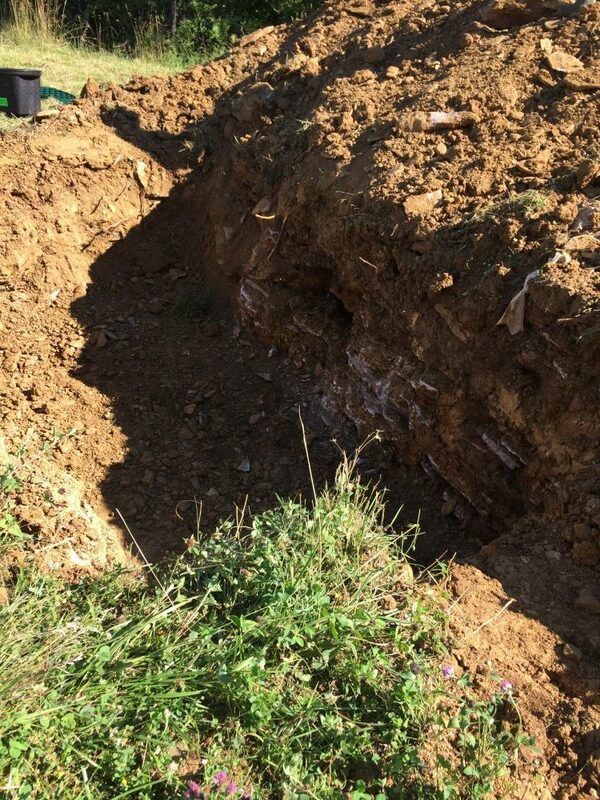 Once the leach line area is filled with good quality soil, it must settle for one year before the lines can be installed, hence the term “fill” and “wait”. It is important to do your research to determine the best wastewater management system for you. A lot is going to depend on your property location, the nature of the soil on your property, and any regulations you may be subjected to. As we found, there were many codes and regulations we needed to follow and it pays to ask questions. Code enforcement varies wildly from place to place, so start with your local building inspector’s office or, if there isn’t one, call your general county government offices and ask questions. I would highly recommend starting here to get more information on how to talk to your local code officials. Hiring a professional can be worth it in the long run. There are so many nuances to constructing these types of systems and it’s easy to miss them even if you’ve done your research. A local excavator will have a detailed working knowledge of the code in your area, know how to create a system that fits your property’s topography, and will understand what an inspector will be looking for. We are very lucky to have found someone who is willing to work with us and give loads of useful advice. He has saved us countless hours of work and likely thousands of dollars too. Wondering more? 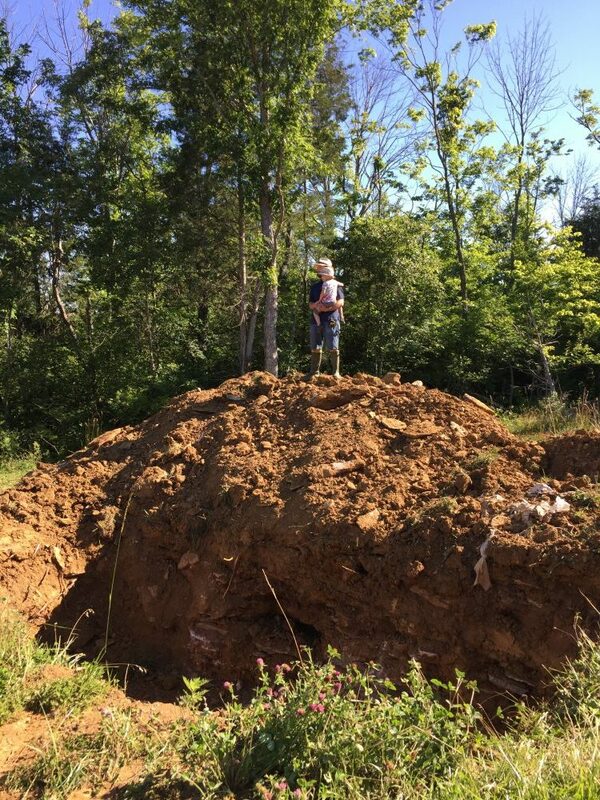 Check out our homestead progress and find out more about our cordwood homestead project here. You should also join us on Facebook, Twitter, and Instagram. I’m always pinning lots of great ideas on Pinterest too! Thanks for reading! I really liked your article on off-grid septic waste. I think you made a good point that you should hire a professional to install your system because professionals have access to tools like large backhoes and bulldozers to make the job easier. I think it would be much easier to have a professional take care of this type of job. It would probably take me more time and money to do it myself than to hire a professional. What was the cost of the fill and wait part of this process? Was it included in the install of the septic system? And what was the total cost of the septic system? Good question! 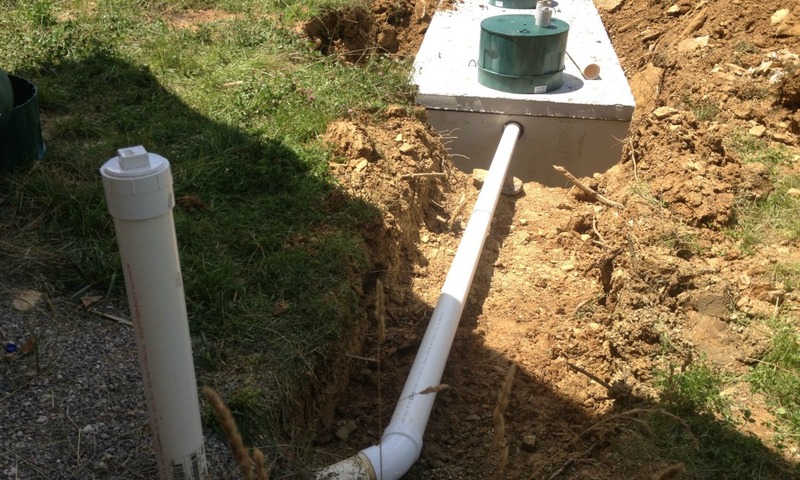 It was included in the install of the septic system. We didn’t get any fill dirt! Instead, we opted to scrape the topsoil from the building site to create the leach field. This made it kind of a 2-for-1 deal since we got a level home site AND a leach field without paying for the estimated 20 truckloads it would have taken to build a field. Each truckload is currently going for about $300/load, so this alone saved us around $6,000. I just realized that I didn’t include the total cost in my reply. I thought I’d put it in the post but don’t see it. I DID put it in my total cost to build post. 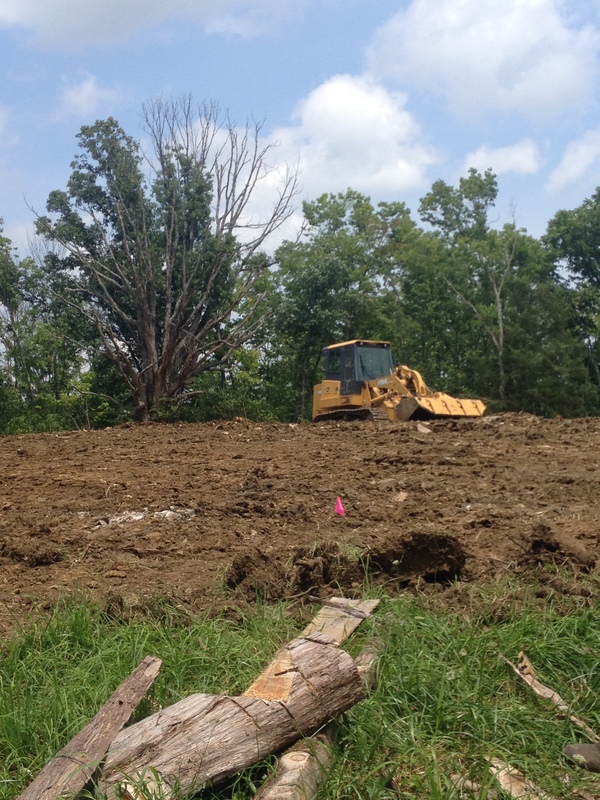 Short story: the entire system including all labor, components, getting our site cleared, moving dirt, etc. cost right around $10,000, which is pretty average. A lot of systems around our area cost far more, a few are less if they have good dirt but a lot of us around here have heavy clay soil to fix first. We paid around $4500 when we did the fill and wait and another $5500 or so when we got the tank and put it all together two years later.